Miss Mani Monster! : Special Birthday Snippet! Hooray! Today's my birthday! I decided to make it a little more cheerful with a mani full of a few of my favorite things: mint, pink, bows, roses, chevron, gradients, and of course birthday cupcakes!! whattt how did you line it up so well!?!?! Happy, happy birthday! 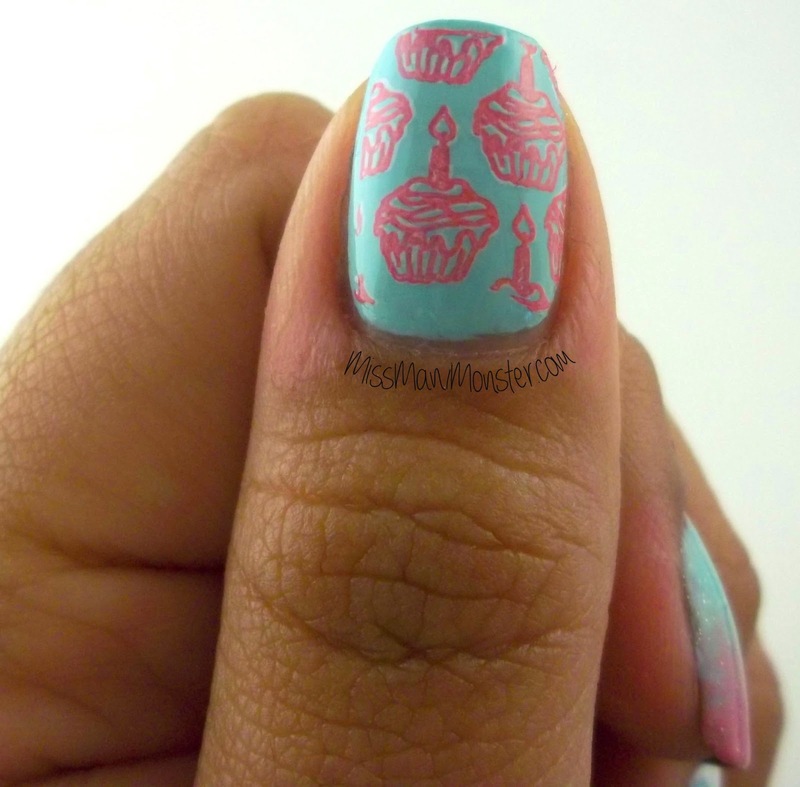 Love the mani, the cupcakes are cute. Awesome birthday nails, I love the combination of designs. Happy birthday to you! Happy Birthday, really cute nails !